Episode 237: Summer of Spouses, Siri Hustvedt | Book Fight! Welcome to another week in our Summer of Spouses season, in which we read and discuss the work of writers who are married to (or otherwise partnered with) more famous authors. 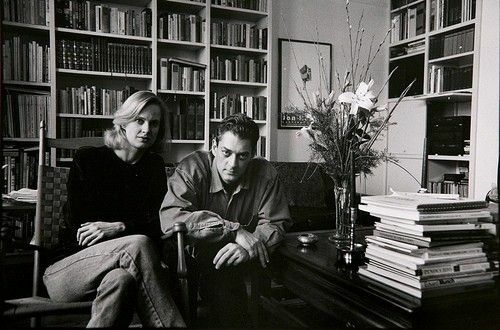 For this week’s show we read a couple pieces by the writer Siri Hustvedt, an accomplished essayist and also the wife of writer Paul Auster. We discuss her mix of research with personal essay, which sometimes toes the line of academic writing. In the second half of the show, we taste test some frozen abomination that is somehow allowed to trade on the Icee name. Categories: Episodes, Summer of Spouses | Tags: Barrelhouse magazine, book podcast, kmart icees, podcasts about contemporary literature, siri hustvedt and paul auster, siri hustvedt is her own person, writer couples, writer marriages | Permalink.